Mommy MD Guides is a 3 part series. The first book is Pregnancy and Birth, Your Baby's First Year and their newest edition…. the Toddler Years! Do you know someone who has recently had a baby, or have you recently had a baby? Would you like to win a great book to help you with your questions? Well one winner from Susan’s Disney Family will win a copy of the book The Mommy MD Guide to the toddler years book. To create this book, we talked with doctors who are also mothers about how they made it through their own children’s toddler years. We talked with ob-gyns, pediatricians, family physicians, cardiologists, dermatologist, psychiatrists, and more. And they’re all moms; some are even grand moms! These women have both their medical expertise and parenting experiences to draw from; they’re experts squared. If they used a tip, you can bet it’ll work for you too. This book offers moms advice on all of the challenges–and also the celebrations–of the toddler years. We talk about sleep, feeding, and potty training and also trips, parties, and play dates! I was fortunate to be able to check out the newest book The Toddler Years even though my daughter is past this stage. It will be a nice refresher if we ever hear the pitter patter of little feat again (one never knows??). 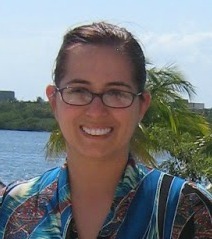 This informative book is co-authored my Rallie McAllister, MD, MPH and a physician and also a Mom. This book incorporates the knowledge of 60 other Mommy doctors, who answer questions on pregnancy and child rearing. Moms know best, but moms who are doctors know so much more and are there to answer questions you might not even know to ask. This book is pack full of information helping you raise that wonderfully wild toddler… They do not call them the terrible two’s for nothing you know. Instead of boring tips this book is filled with humorous anecdotes and stories, that will keep you reading. My new niece is only a few months old, but she is sprouting like a little weed, and the toddler years will be here before you know it. I remember those years well the tantrums the crying and the acting out. I just wish I had a great and informative book like this when my daughter was younger. Will the Mommy MD guides come out with a how to survive the tween years, I will be all over that. My daughter is 7 and I need all the info on tween years I can get. Are you looking for some insight and information for your child’s toddler years? This would make a great gift and with the holidays right around the corner this would be a great stocking stuffer for that special family on your gift list this year. And make sure to check out Daddy MD Guides for men. The generous folks at Mommy MD Guides are giving one of Susan’s Disney Family reader a chance to win, the Mommy MD Guide, the Toddler Years. Would you like to win? Please visit the Mommy MD Guides site, take a look around then come back here and let me know something you learned from the site. There are also other ways to enter, please enter below. You can purchase any of these informative books on the Mommy MD Guide site. The Mommy MD Guide to the Toddler Years can be purchased for $17.95. The Mommy MD Guide via Facebook and Twitter. Disclosure: The reviews and or opinions on this blog are my own opinions . I received a book to review. No monitory compensation was received. I was not required to write a positive review. Your experience may differ. The opinions I have expressed are my own I am disclosing this in accordance with the Federal Trade Commissions 16 CFR Part 255: Guides Concerning the Use of Endorsement and Testimonials in Advertising . 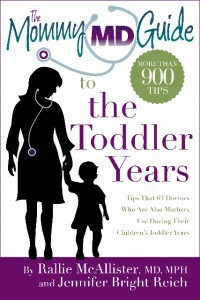 "More than 900 tips that 62 doctors who are also mothers use during their own children’s toddler years." I love that real doctors use this and contributed to it. Researchers at Washington University School of Medicine in St. Louis recently conducted a study* to evaluate birth control methods and found dramatic differences in their effectiveness. The scientists found that women who relied on birth control pills, the patch, or vaginal ring were 20 times more likely to have an unintended pregnancy than those who used longer-acting forms of contraception, such as an intrauterine device (IUD) or birth control implant. "Moms know best, but moms who are doctors know more!" They have a new book, The Mommy MD Guide to Pregnancy and Birth. I learned that they are mommies and doctors so you are getting some great advice.